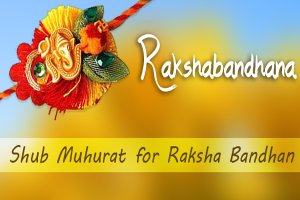 What is Raksha Bandhan (Rakhi) date in 2016 and what is the best shubuh muhurat (auspicious time) to tie rakhi on this day get complete information about 2016 Raksha Bandhan on this page. Here on this page I will tell you the story of celebrating Rakhi in India or what are the stories behind celebrating Raksha Bandhan?. We do celebrate Raksha Bandhan every year as a festival but very less people know the story behind celebrating rakhi every year and most of Sister’s tie Rakhi to their brothers in early in the morning or whenever they meet they don’t wait for any Muhurat to tie Rakhi or not aware about it. So keep adhere to this in mind I am going to detail information about Raksha Bandhan 2016 with you today including Raksha Bandhan Date, Best Subh Muhurat to Tie Rakhi & Reason why we celebrate Rakhi. Raksha Bandhan or Rakhi will be celebrate on 18th of August 2016. Raksha Bandhan (Rakhi) Stories or Why Do Indian Celebrate Raksha Bandhan? According to Hindu scripture Bhavishya Purana, in the war between Gods and demons, Indra – the deity of sky, rains and thunderbolts – was disgraced by the powerful demon King Bali. Indra’s wife Sachi consulted Vishnu, who gave her a bracelet made of cotton thread, calling it holy.Sachi tied the holy thread around Indra wrist, blessed with her prayers for his well being and success. Indra successfully defeated the evil and recovered Amaravati. This story inspired the protective power of holy thread.The story also suggests that the Raksha Bandhan thread in ancient India were amulets, used by women as prayers and to guard men going to war, and that these threads were not limited to sister-brother like relationships. According to this legend, credited to Hindu scriptures Bhagavata Purana and Vishnu Purana, after Vishnu won the three worlds from the demon King Bali, he was asked by Bali that Vishnu live in his palace, a request Vishnu granted. Vishnu’s wife, Goddess Lakshmi did not like the palace or his new found friendship with Bali, and preferred that her husband and she return to Vaikuntha. So she went to Bali, tied a Rakhi and made him a brother. Bali asked her what gift she desired. Lakshmi asked that Vishnu be freed from the request that he live in Bali’s palace. Bali consented, as well accepted her as his sister. Ganesh had two sons, Shubh and Labh. On Raksha Bandhan, Ganesh’s sister visited and tied a Rakhi on Ganesh’s wrist. The two boys become frustrated that they have no sister to celebrate Raksha Bandhan with. They ask their father Ganesh for a sister, but to no avail. Finally, saint Narada appears who persuades Ganesh that a daughter will enrich him as well as his sons. Ganesh agreed, and created a daughter named Santoshi Ma by divine flames that emerged from Ganesh’s wives, Rddhi (Amazing) and Siddhi (Perfection). Thereafter, Shubh Labh (literally “Holy Profit”) had a sister named Santoshi Ma (literally “Goddess of Satisfaction”), who loved and protected each other. Krishna considered Draupadi his sister. When Krishna cut his finger while beheading Shishupal, Draupadi immediately tore off a piece of her sari and bandaged his cut. Krishna said that with this loving act, she wrapped him in debt and he would repay each “thread” when the time arrives. Indeed, whenever Draupadi needed Krishna’s protection she fervently prayed for his help, he came to the rescue and gave her unlimited cloth. This is one of the stories of the origin of the Raksha Bandhan festival.In the epic Mahabharat, Draupadi tied a Rakhi to Krishna, while Kunti tied her Rakhi to her grandson Abhimanyu, before the great war. According to another legend, Yama, the god of Death had not visited his sister Yamuna for 12 years. Yamuna, the goddess of Yamuna river, was sad and consulted Ganga, the goddess of Ganga river. Ganga reminded Yama of his sister, upon which Yama visits her. Yamuna was overjoyed to see her brother, and prepared a bounty of food for Yama. The god Yama was delighted, and asked Yamuna what she wanted for gift. She wished that he, her brother should return and see her again soon. Yama was moved by his sister’s love, agreed and to be able to see her again, made river Yamuna immortal. 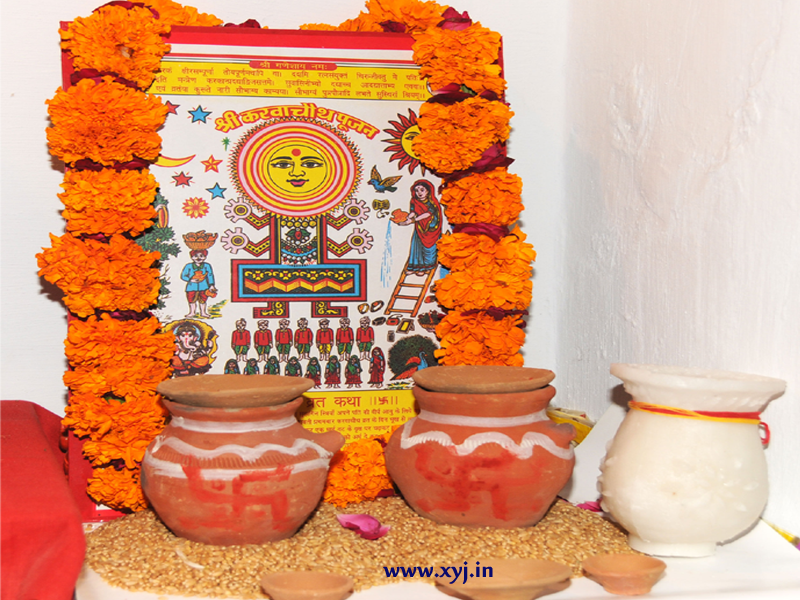 This legend is the basis for a Raksha Bandhan-like festival called Bhai Duj in some parts of India, which also celebrates brother-sister love, but near Diwali. Another controversial historical account is that of Rani Karnavati of Chittor and Mughal Emperor Humayun, which dates to 1535 CE. When Rani Karnavati, the widowed queen of the king of Chittor, realised that she could not defend against the invasion by the Sultan of Gujarat, Bahadur Shah, she sent a Rakhi to Emperor Humayun. Touched, the Emperor immediately set off with his troops to defend Chittor. Humayun arrived too late, and Bahadur Shah managed to sack the Rani’s fortress. Although contemporary commentators and memoirs do not mention the Rakhi episode and some historians have expressed skepticism about it, it is mentioned in one mid-seventeenth century Rajasthani account. Hope you find it worthful to be very honest I was aware about Indra & Rani Karnavati and Emperor Humayun but found some interesting stories as well on WikiPedia and the link already given. Also If you know any other story of Raksha Bandhan just share the link or story in below comment box. If it really improves your knowledge about Rakhi (Raksha Bandhan) please don’t forget to like, share & follow us on given button below.